It’s safe to say that most people who go boating do so as a couple. Now and then there will be friends and family on board but the majority of the time it is just the two of you. Enter the Haines 32 Offshore, which has the cruising couple in mind with a focus on one-level living where ease of movement and socialising are primary concerns. 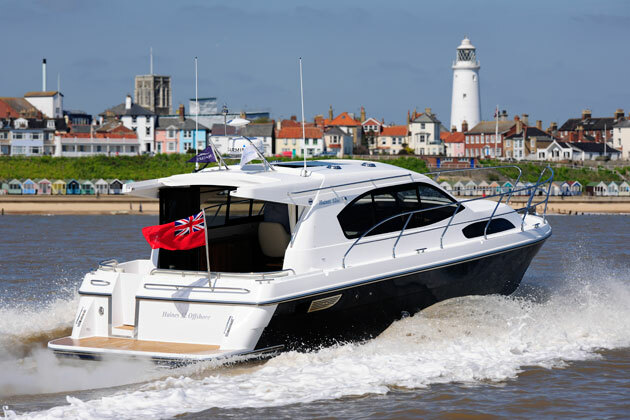 As seems to be the way with low-volume builders like Haines, the 32 Offshore was born from customer demand and based on the riverboat with which it shares much of its design and layout. Andrew Wolstenholme was commissioned to transform the hull from a displacement plodder to something that could hitch up its skirt and go for a jog while sensible shaftdrive power trains make for dependable partners to the solid hull. 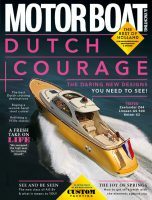 Our test boat was fitted with a single 270hp Nanni T4 and topped out at 17.8 knots in our two-way speed runs. Haines was still in the process of commissioning this boat and had some tinkering to do with the engine mounts, which it says should reduce the resonance we felt at the top end of the rev range. 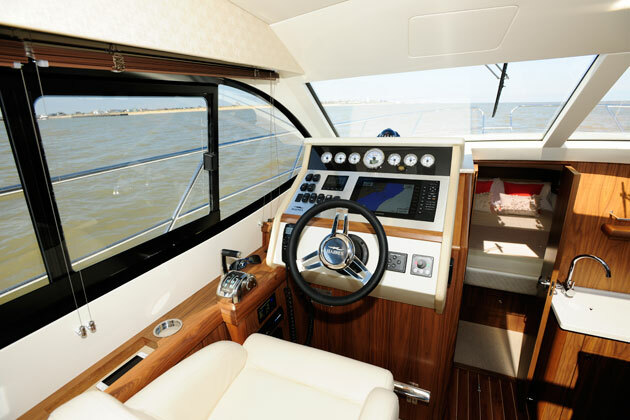 With this engine, the boat felt most comfortable at a sedate 15 knots, so if you want to cruise at higher speeds it may be wise to spec one of the twin engine set ups. It’s worth pointing out that Haines has no real allegiance to a specific engine manufacturer, so it’s more a case of if it fits in the engineroom you can have it.